Welcome to Best Cloth Diapers Reviews article, one solution to every problem related to finding Diapers for your baby. Our sole idea for creating this site is to provide our readers the knowledge about Diapers for their Babies and Where they can buy them at only at prices which will not put a big hole in their pockets. My Name is Mannat Gill, author at Best Cloth Diapers Guide.com and I will be helping in choose you best cloth diapers for your babies so that he/ she can get good sleep at night or play actively during the morning time. Unfortunately, It will not be possible to check out every diapers available in the local stores or online due to limited budget and then put up review here. Nevertheless, I will be testing and posting reviews every now and then, uploading my opinion on various kinds of diapers. My aim is to make this site the best diaper shopping guides for parents out there who welcomed new member in their family. They are welcomed to try out the mentioned diapers here and then post their reviews based on our extensively studies and tried rating system which rate diapers on various factors like Fit, Age, Cost, Absorbency Rate, Eco-Friendly etc. Feel free to browse around the site and it will give me an immense pleasure if you check out information given related to Cloth Diapers. Plus, you can also use our precise Baby Diaper Buying Guide to select best cloth diapers for your babies. Also feel free, to leave out comments and suggestions anywhere on the site. 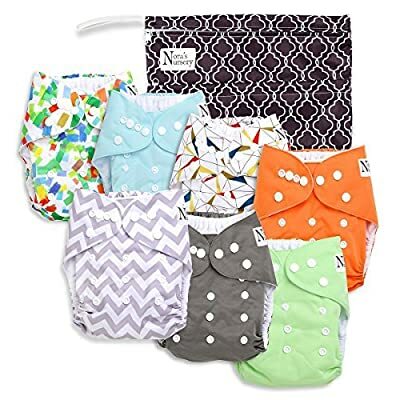 This will not only help us in providing the better reviews but also will help out our readers in choosing the best cloth diaper for their babies. 1 Why Buy A Cloth Diapers over Disposable Ones ? 4 What type of cloth diapers available in the market and which one to choose among them ? 5 How Do I Wash Cloth Diapers ? Why Buy A Cloth Diapers over Disposable Ones ? There are so many diapers available that choices may seem to be endless and parents often end up buy wrong diapers for their babies. The biggest mistake they make is buying up disposable ones over cloth diapers. I’m not saying that disposable are like completely bad. They have their own Merits and De-merits but considering the factors below, you should prefer buying the latter one. While the disposable ones may land up in your landfill after the use, that is not the case with the cloth ones. They can be used over and over for up to four-five years. Considering the cost of lifetime supply, if we compare both the diapers than disposable diapers like Bambo Nature, Huggies will cost you around $2000-3000 while on the other hand, Cloth Diaper Lifetime Supply Cost will be less than $500. We are not making this event, AAPNADS also proved the same thing. According to the American Academy of Pediatrics ( AAP) and the National Association of Diaper Services (NADS) , cloth diapers are less expensive than disposables. Green Disposable Diapers contain Super Absorbent Polymer (SAP), a chemical ingredient that is used in making disposable diapers almost by every brands in the market. Some babies are very prone to rashes caused by these chemicals in the diaper. Unlike the disposable ones, cloth diaper do not contain any kind of fragnances, latex or lotions and there are no diaper rashes if your baby is wearing it. According to the US Census Bureau, Total births per second is 4.17 and imagine when these babies will grow and start using diapers how much diaper changes going to happen which will have an adverse effect on our environment. By using cloth diapers, you are not harming environment to a considerable change. f you have read all the recommendations we have given you in Guide to Buy Best Cloth Diapers for Newborn, Babies and Toddlers, I am sure next thing that has stuck in your mind will be. OMG!! 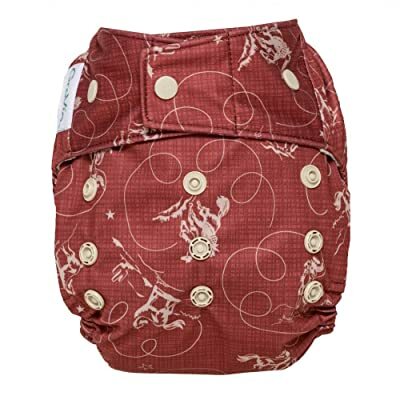 There are Hundreds of Cloth Diaper Brands available in the market. Which one will be the best for my baby ? To put an end to this question, I am here to provide you the List of Best Cloth Diaper Brands. There are lot of things which should be kept in mind while ordering diapers online. Most of parents out there are dirty diapers and changing diapers more often, but i guarantee you that these diapers are worth every penny rather than considering buying the disposable ones which are not so good for your baby’s health. Though big brands have teamed up with pediatricians and scientists to solve this problem and we will be reviewing the best disposable diapers in future after testing them out. While choosing a diaper brand, it can be very overwhelming and difficult at first because there are tons of brands available which are competing highly with each other and selling out bad products to the customers. But once you get familiar with Trusted and Best Cloth Diaper Brands by learning about them, you will feel confident on deciding which diaper work best for your baby without costing a big hole in your pocket. Diapers are available at local markets and online but I recommend you to buy online because of the following reasons given below. Every baby is different, so by learning about various brands in the market, parents can buy ideal diaper for their child which will make him happy and active all the time. Babies Age. As he grows and become more active, his diapering need will also change. Then you have to try out different styles keeping in mind age by age guidelines so that you can make a decision you and your baby can live with. Below we are mentioned different ages with which you will be able to decide How to choose diapers as your baby grows. Newborn Babies Absorbance is not an issue in this case as they make small poops only. So, you should choose a style with a U-shaped hole cut out. 5-8 Months Old-Diapers made for overnight use must be used. Make sure they are leak proof and soaks well as babies sleep for long hours and they are on solid food diet, so they will make larger messes. 9-24 Months Old Toddlers falls under this category. Child is more active in this time period, so make sure you buy a diaper with strong tabs and plenty of stretch so that baby should not get excess diaper rashes when he is in motion. 24 Months and Older Ta da! !, its official potty time folks. It high time to take care well of those buns. At this time, parents try to go for disposable ones so that they can easily taken them off after babies mess but study shows that kids usually dont potty when it gives them feel their buns is carrying something. So you gotta figure it out what is going to work best for you. Now you must have been thinking about various type of cloth diapers and which one to select for you baby. Well, It’s іmроѕѕіblе to knоw frоm glаnсіng аt thе расkаgе and choose, you have to experiment in this case. But don’t worry, we are listing down the types below which are used by most of families in US. What type of cloth diapers available in the market and which one to choose among them ? 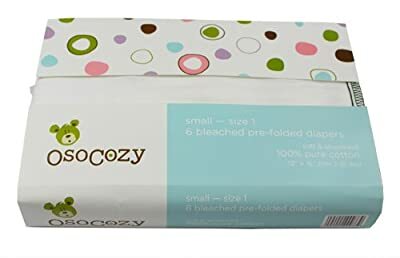 These diapers are almost like disposable ones but they are not thrown away after one use, rather they are reusable and can be used after washing dipaers properly. It has a waterproof outer-layer that holds in wetness, an inner absorbent core аnd аn іnnеr layer of a vаrіеtу оf soft, аbѕоrbеnt fаbrісѕ (often cotton or hemp is used) . They are very convenient because of no involvement of diaper pins or diaper covers. These are new kind of diapers in the market uѕеѕ аn іnѕеrt thаt doesn’t require аnу folding. They comes in very handy when baby messes the diapers all you have to do is just swap out the insert. Style of diapering the baby is same like a disposable one. If you need a diaper solves problem varying level of absorption, then pocket diapers are the best suited according your choice. When baby is done with his business, you take entire cover off, pull out the insert and was them. For example, if you changes diaper more frequently in day time as compare to night, you can insert a thin insert into the pocket and in the evening time when your baby needs double absorption- a thicker insert will serves the purpose with ease. They are a little bit common but can be inconvenient and disgusting. Prefold Diapers are the most basic and economical ones you can purchase online. They are big, cotton rectangles that are folded to properly fit your baby’s buns. You can kept them in place with Diaper Covers. They are leak proof as they molded according to baby’s shape plus cover gives you an extra protection. No doubt, it can be hassle if you don’t know some Best Cloth Diapers Folding Techniques but once you learn them and practice a little bit, you will be able to fold em quickly within no time and be on your way. You can use them when baby is out of diapers- they can serves cleaning purpose, bedding pet and can also give to other families who need them. Now the question is Which Type Should I Use ? Well there is no secret to this. You cant find just one type that will cover all your need. PERIOD. You have to experiment and try out different types and choose among them which will be best for you baby and suitable for your budget. Most families tends to go with prefold ones but you should try out others too. As you have made up your mind to buy Cloth Diapers ( reusable ) for your babies, now the biggest question comes in your mind will be How to wash Cloth Diapers ? so that I can use them again. How Do I Wash Cloth Diapers ? Taking care of your babies and his personal hygiene is no easy game. You wish sometimes you had that thing like in matrix movie where they load data in your mind and you learn all the fighting techniques at once. But take it in a positive way. Diapering is such a beautiful thing and teaches us a lot about our baby. Cleaning a diaper is just like washing dishes after cooking mach and cheese. Pretty bad example , I know right. But its true, you don’t think of using disposable dishes then why disposable diapers when I have made washing best cloth diapers so easy for you. Here is simple routine of washing best cloth diapers that have worked for so many people and will work for you too. No rocket science! Use cold water shower to remove poop and urine from diaper. Keep the diaper wet enough that it will be dripping. Then wash them with cloth-friendly detergent. You can add oxygenated bleach for some extra sanitizing. Wash no more than 12-18 diapers at a time. Dry diapers in a dryers or hand dry outside or you can use combination of both. All in all, diapering is pretty simple and straight forward process. Selecting the right cloth diapers that meets your and your baby’s specific needs is going to take a bit of work but moving forward with the insider tips information that you have been able to get up will surely help you in getting the Best Cloth Diapers for your baby. Investing in Cloth Diapers is not something that you can take lightly. With proper research and reviews, diapering can become fun and rewarding in no time whatsoever. Happy Diapering!